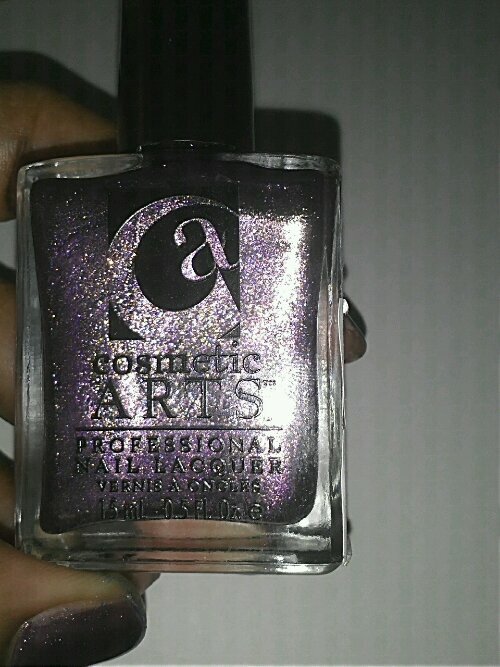 This is a polish I found the other day in Ross. 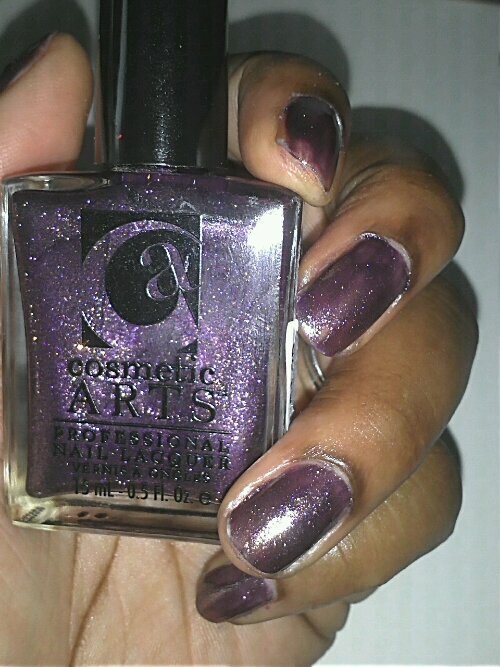 It’s a GORGEOUS purple/golden duochrome with bits of purple shimmer and holographic glitter. 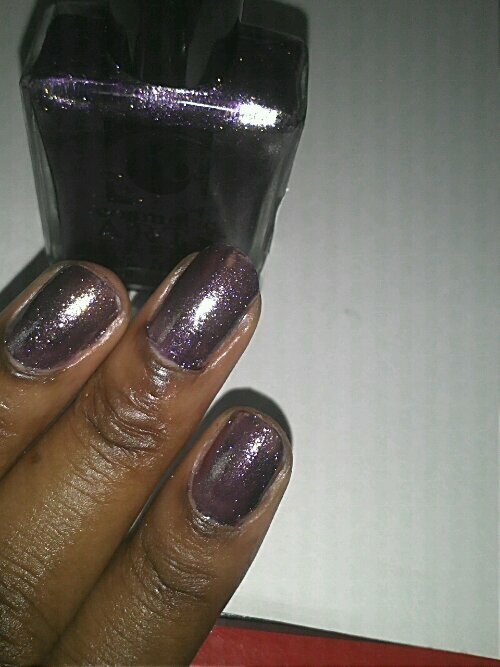 When I saw this color, I knew I wanted this polish. But when I saw the price tag (1.99)…I knew I had to have it! Its like nothing in my stash. Application, however, really kinda sucked. 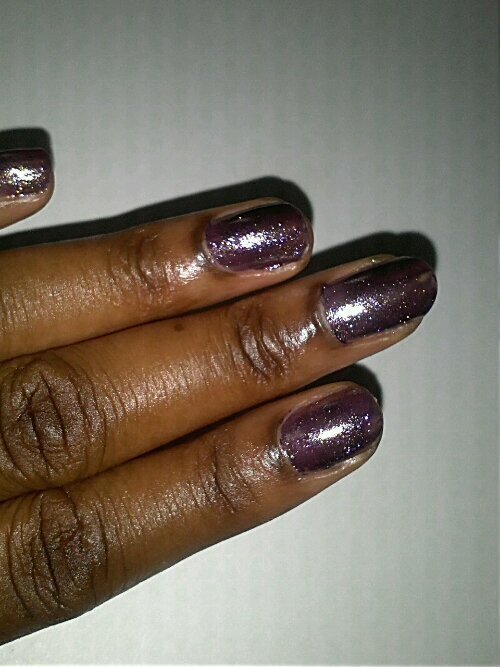 This polish is very watery and thin, and took FOUR coats to reach opacity. Four coats. It’s a really pretty color, but I think it would work best for me layered over a purple or brown. There is no visible name anywhere on the bottle. I checked online for info on the brand, and found out that is by the same makers of the brand Color Club, Forsythe Cosmetic Group. Of all of the pictures I could find, I never really found one that matched this exactly. 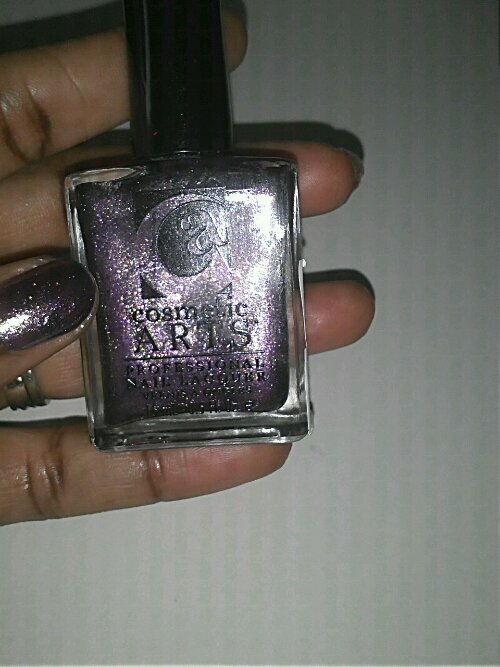 The closest color I found to this was Equinox Fox….which to me looks more brown.